Through my years of working with attorneys, I have heard more than one complaint about how their team members aren’t very good at discussing the services their law firm provide to prospective clients. The disappointment is usually about their staff members unable to describe the services enough to convince the prospective client to make an appointment to meet with the attorney. This is a valid concern. But there are a lot of people who aren’t good at sales. So, what’s an attorney to do? Fire all the staff and start over? No, please don’t do that! Instead, turn them into raving fans of the firm and the services you provide. Yes, make sure they can describe your firm’s services as enthusiastically as they would describe their children, their favorite pet, or a hobby they are passionate about. Get them EXCITED about what you are doing at the firm. In my experience, the inability to describe services with enthusiasm is a result of not really understanding their value and benefits. Here are a few things you can try before you give your team the boot. 1 Explain why you chose the practice areas that you did. Most attorneys choose their practice areas because they were passionate about them. Do you have a personal experience that made you choose that particular area? I once knew an attorney who had lost her husband at a very young age. Even though she was an attorney, she had failed to plan properly for her own death or the death of her husband. After all, 20-somethings are rarely motivated to do so. The story she had to tell was extremely touching and it is her passion to make sure that families don’t struggle needlessly at a time when they are grieving the loss of a loved one. There was at least one person on her staff that understood that she was an estate planning attorney and could explain the services that were provided, but didn’t really have that passion that is needed to motivate people to do their own planning, until she finally heard the attorney’s story. 2 Give them real-life stories of the services you provide. If your law firm is like most, your staff is extremely busy with day-to-day tasks. Their heads are down and they are working on bits and pieces of the matters that flow through your office. Have they ever really seen the whole picture? People go to attorneys to solve their problems. Share with your staff with your staff some of the inspirational stories and help them see, in real-life terms, how you help people. 3 Make sure they are describing the benefits, not just the services, that you provide. Your staff may be very clear and quite articulate about describing the services that your law firm provides and still not be able to effectively sell them. The reason is that people need to understand the services you provide in terms on how it will benefit them. For example, they may understand that you litigate personal injury cases, but what they should be describing is how you put the pieces of people’s lives back together after an unexpected event, like an injury due to an automobile accident. Teach them to describe your services in a way that people can understand, in terms of their particular situation, how their lives would be better if you worked with them. Ticking off a list of services means very little to the general population; explaining how it personally benefits them makes the difference. These are just a few examples of situations that I have observed. Engage your staff members and watch them bring clients into your firm. Law firm marketing expert Laura Lee Sparks is one of the most authoritative voices on legal marketing and virtual assisting for lawyers on the web. Her advice and legal marketing campaigns have helped lawyers attain and surpass the million-dollar mark in their businesses and reach their ideal clients quickly, easily and consistently. For further information or to contact Laura Lee directly, please visit legalmarketingmaven.com. Article Source: http://EzineArticles.com/?expert=Laura_Sparks. About the Author: Law firm marketing expert Laura Lee Sparks is one of the most authoritative voices on legal marketing and virtual assisting for lawyers on the web. Her advice and legal marketing campaigns have helped lawyers attain and surpass the million-dollar mark in their businesses and reach their ideal clients quickly, easily and consistently. 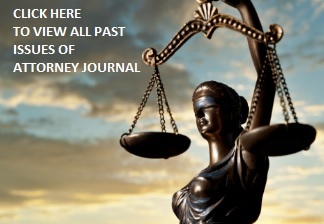 For further information or to contact Laura Lee directly, please visit legalmarketingmaven.com. Article Source: http://EzineArticles.com/?expert=Laura_Sparks.